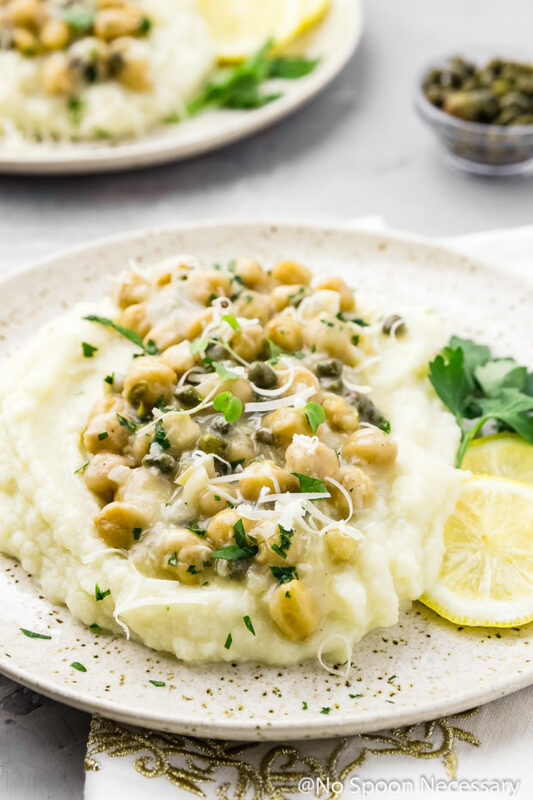 This Chickpea Piccata with Parmesan Cauliflower Mash is a healthy, vegetarian twist on traditional Piccata. 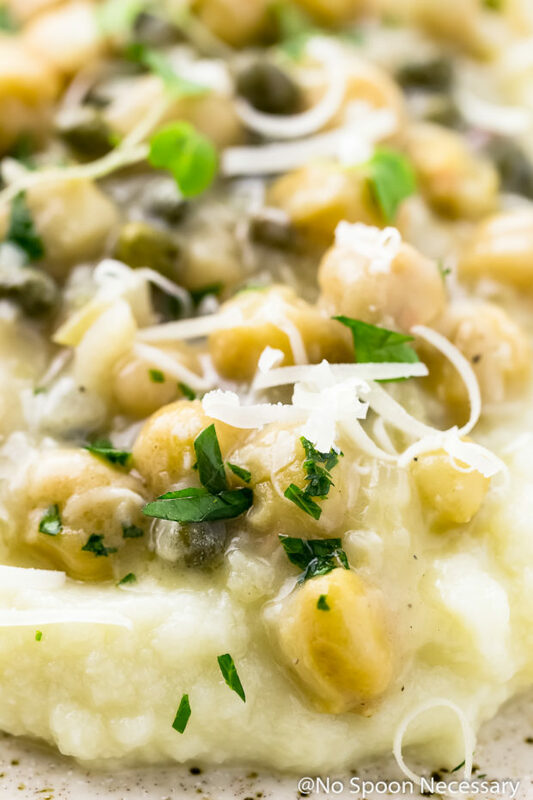 Plump, tender chickpeas in a smooth, buttery piccata sauce with notes of lemon and nuances of white wine, served over cauliflower mock mashed potatoes. This vegetarian piccata is easy to make and so delicious you won’t miss the meat at all! This post was originally published in March 2017. I’ve updated the post below to include more information about this easy vegetarian piccata. Plus, I added a recipe video to show you how easy this dish is to make! Hey there friends! Happy first Monday of March! The last two weeks here on the blog have been filled with chicken. Curried chicken, Cajun chicken, chicken soup, spicy chicken… basically, it has been chicken all the things. You’re probably over there thinking I cluck as a second language. The thing is, that couldn’t be further from the truth. I mean, don’t get me wrong, I like chicken as much as the next non-vegetarian person, but we don’t eat it at every meal. Or, every third or fourth meal for that matter. So today, we are going to make something decidedly NOT chicken… or even beef or seafood actually. Instead, we are going to do it up Meatless Monday style. Our taste buds are going to BASK in the deliciousness that is a meal made without a lick of meat. And, it is going to be absolutely divine. You are going to completely forget about that fact that I over-shared chicken at all. In fact, by the time we are done, you are going to be all like, chicken WHO? Alias – Piccata gone trendy with a vegetarian twist. Because, meatless meals ARE totally trendy! 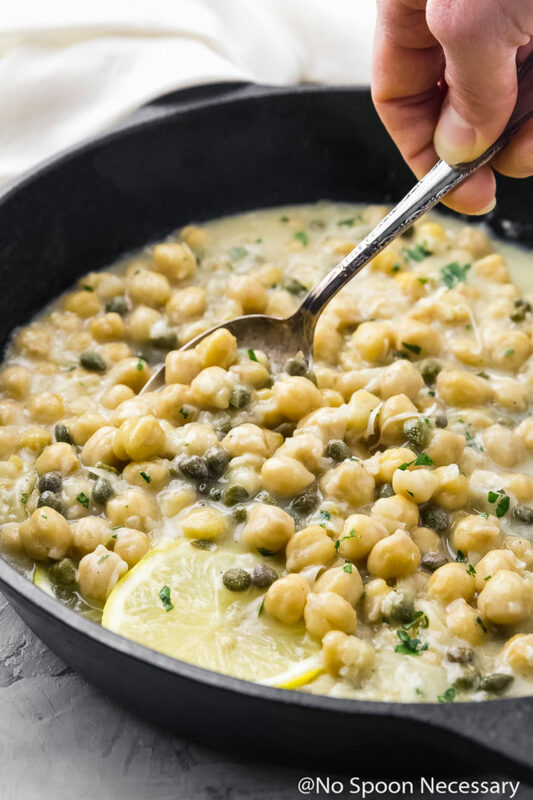 Plump, tender chickpeas bathed in a velvety, smooth, buttery, rich, yet light piccata sauce with notes of tart lemon and dry white wine; pops of briny capers and a generous sprinkling of fresh, herbaceous parsley. But, that’s not all! This vegetarian piccata gets piled high on some healthy, silky, smooth, creamy, dreamy, parmesan studded cauliflower mashed ‘potatoes’. UGH. So good it hurts. Piccata, which originates in Italy, is a light sauce made of butter, lemon juice, capers, stock and white wine. Sometimes shallots and garlic are added to the sauce for more flavor. Typically piccata sauce is served over browned chicken or veal cutlets and accompanied by pasta or polenta. However, the sauce also pairs well with any mild fish, salmon, or in the case of this vegetarian piccata recipe, tender chickpeas. Piccata, also spelled picatta or pichotta, means ‘larded’ in Italian. What does piccata sauce taste like? Piccata sauce is a silky sauce that tastes buttery with bright, briny flavors and a punch of fresh acidic lemon. 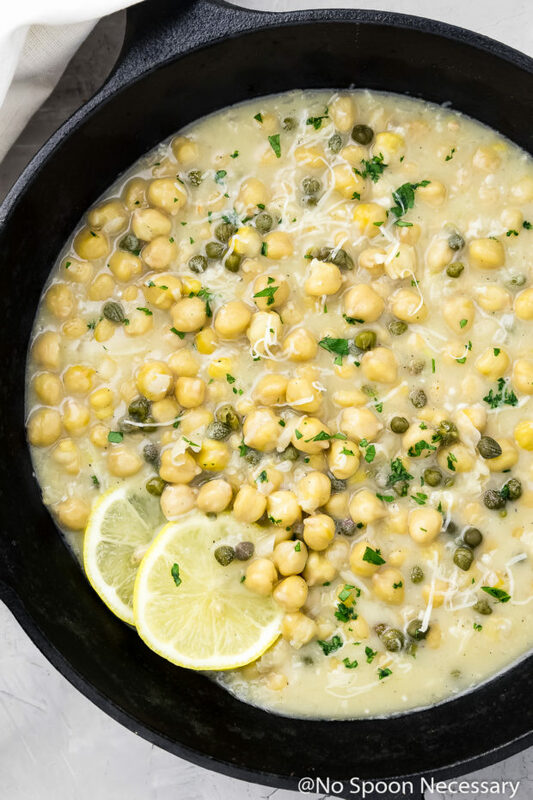 Chickpea piccata is so easy to make and comes together in about 15 minutes or less! First, melt some butter and oil in a large skillet and sauté a finely diced shallot. Add in the garlic, season with salt and pepper, and cook until fragrant. If you want a thicker piccata sauce, now would be the time to whisk a little flour into butter and vegetables. If not, skip the flour and add in the white wine. Cook until the wine is reduced and thickened. Add in some stock, a splash of lemon juice and dump in the chickpeas. Cook the chickpeas until the liquid is again reduced and the chickpeas are warmed throughout, about 6-8 minutes. Remove the pan from the heat and gently stir in a few pats of butter, the capers and fresh parsley. All that is left to do is garnish the piccata with a lemon slice or two, and sprinkle everything with more parsley and parmesan. Then take a big ‘ole bite and pat yourself on the back. Meatless Monday has never looked so good. When steaming the cauliflower, you can substitute water, or broth, for the stock. You can use a combination of stock and water. I use stock because it adds a lot of flavor. When preparing the cauliflower for the mash, you will want to cut the head of cauliflower into florets, and then cut the florets into roughly ½ – 1’’ pieces. You don’t need to be exact. Just know if you leave your pieces of cauliflower on the larger side, they will take longer to become completely soft when steaming, so you will need to add a few minutes to the cook time. If you have an immersion blender, I recommend you use it when making the cauliflower mash, instead of transferring everything to the food processor. Simply drain the cauliflower and return it back to the pot and follow the instructions as directed, adding the butter and milk, then stir in the parmesan cheese. If you want to save time, the cauliflower mash can be made up to 3 days in advance, and stored in an airtight container in the refrigerator. To reheat, place the mash in a small saucepan over low heat and cook until warmed throughout, stirring occasionally. Add a splash or two of more milk or butter if desired. If you want your piccata sauce a little thicker and creamier, you can add a little bit of flour. You will want to add it to the pan after the garlic, and before the wine. I included the optional instructions in the recipe below, but make sure you cook (and stir) the flour for at least a minute to cook off the raw flour taste. I have made the piccata sauce both with, and without, the addition of flour, and I personally like it without the flour. I find the sauce to be more velvety, delicate and buttery without the flour, but like always, I encourage you to make this recipe your own! How to make piccata sauce thicker? Piccata sauce can be made thicker by incorporating flour into the sauce. Whisking flour into the melted butter (making a roux) before adding the wine and stock will create a thicker piccata sauce. Can chickpea piccata be made ahead of time? While you can make chickpea piccata ahead of time, and gently reheat it on the stove before serving, I don’t recommend it unless absolutely necessary. Since piccata is a light, bright dish with fresh flavors, preparing it in advance and reheating it will diminish the flavors. 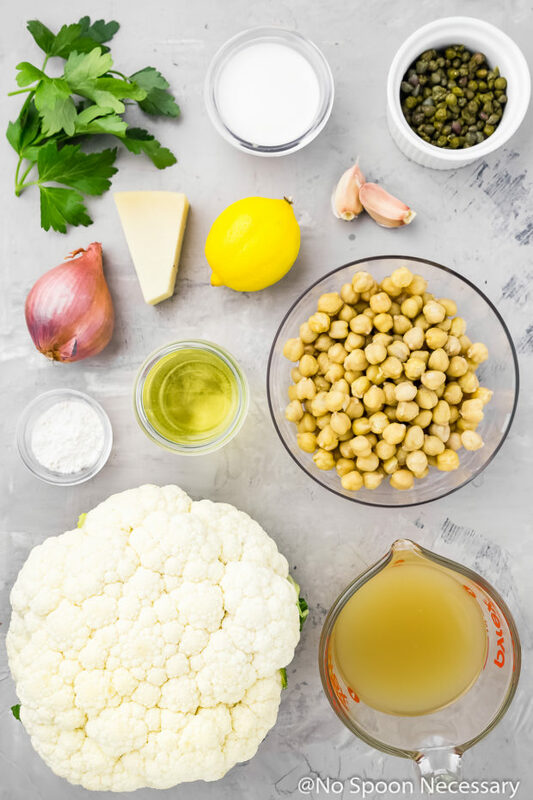 Lightened up, yet downright delicious AND made meatless for the Monday win, this Chickpea Piccata with Parmesan Cauliflower Mash is everything a meal makeover should be. Until Friday, friends, cheers – to marvelous meatless Monday. 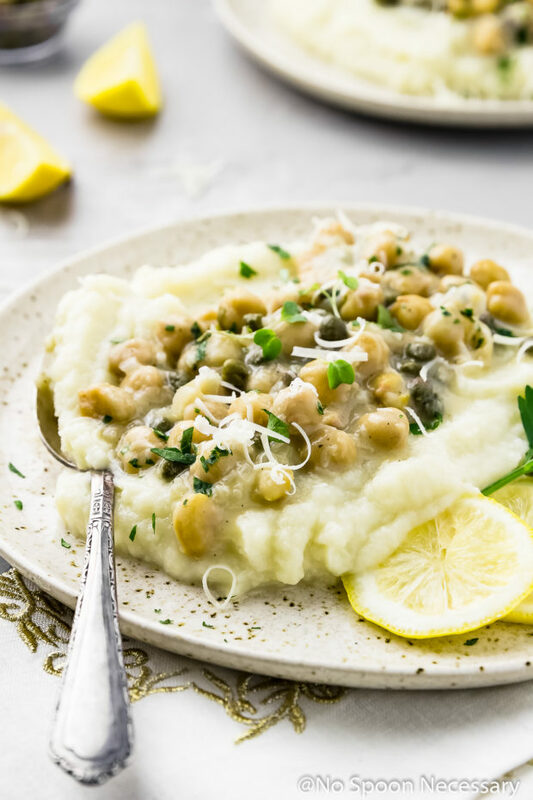 This Chickpea Piccata with Cauliflower Mashed 'Potatoes' is a healthy, vegetarian twist on traditional Piccata. 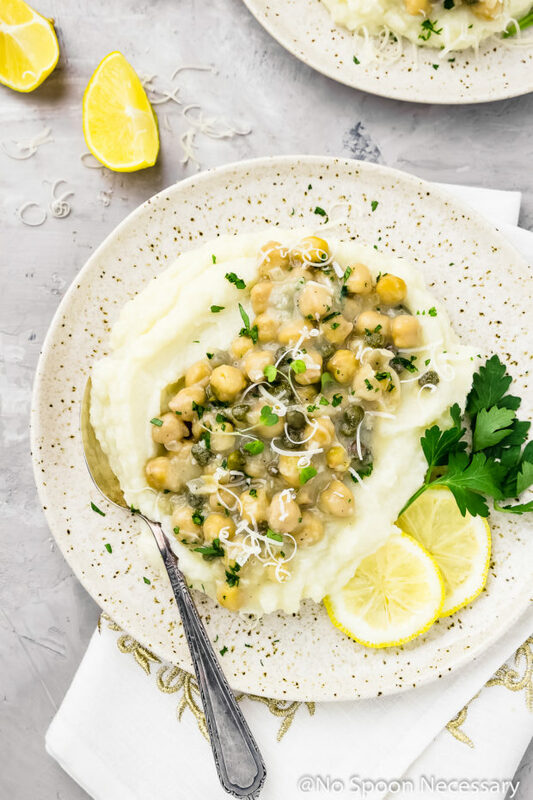 Plump, tender chickpeas in a smooth, buttery piccata sauce with notes of lemon and nuances of white wine, served over cauliflower mock mashed potatoes. This dish is so delicious you won't miss the meat at all! Make the Cauliflower Mash: In a large pot, bring 1 cup chicken stock* and 1 teaspoon salt to a boil. Add the cauliflower and return to a boil. Cover, reduce heat to low and steam cauliflower for 18-20 minutes, or until cauliflower is very tender. Add the wine, increase heat to medium-high and cook until reduced and thickened, about 4 minutes. Add the chicken stock, lemon juice and chickpeas to the pan. Cook until liquid is again reduced and the chickpeas are warmed through, about 5 minutes. Remove pan from heat and stir in 3 tablespoons of butter, capers, and parsley until melted and sauce is velvety, about 1 minute. Taste and adjust for seasoning with salt and pepper. To Serve: Divide cauliflower mash evenly among plates and make a small well in the center. Top with chickpeas and piccata sauce. Garnish with lemon slices, grated parmesan and parsley. Enjoy! 1. When steaming the cauliflower, you can substitute water, or broth, for the stock. You can use a combination of stock and water. I use stock because it adds a lot of flavor. 2. When preparing the cauliflower for the mash, you will want to cut the head of cauliflower into florets, and then cut the florets into roughly ½ - 1’’ pieces. You don’t need to be exact. Just know if you leave your pieces of cauliflower on the larger side, they will take longer to become completely soft when steaming, so you will need to add a few minutes to the cook time. 3. If you have an immersion blender, I recommend you use it when making the cauliflower mash, instead of transferring everything to the food processor. Simply drain the cauliflower and return it back to the pot and follow the instructions as directed, adding the butter and milk, then stir in the parmesan cheese. 4. If you want to save time, the cauliflower mash can be made up to 3 days in advance, and stored in an airtight container in the refrigerator. To reheat, place the mash in a small saucepan over low heat and cook until warmed throughout, stirring occasionally. Add a splash or two of more milk or butter if desired. 5. If you want your piccata sauce a little thicker and creamier, you can add a little bit of flour. You will want to add it to the pan after the garlic, and before the wine. I included the optional instructions in the recipe below, but make sure you cook (and stir) the flour for at least a minute to cook off the raw flour taste. I have made the piccata sauce both with, and without, the addition of flour, and I personally like it without the flour. I find the sauce to be more velvety, delicate and buttery without the flour, but like always, I encourage you to make this recipe your own! I remember this one Chey! I love all things piccata. Such a creative recipe! Love the new video too! I remember this one Chey! I love all things piccata. Such a creative recipe! LOVE the video too! I read this as chicken piccata at first and was like, she added chickpeas? What? Then I read the name again and about lost my mind. I LOVE chickpeas! You can bet I’ll be trying this soon! 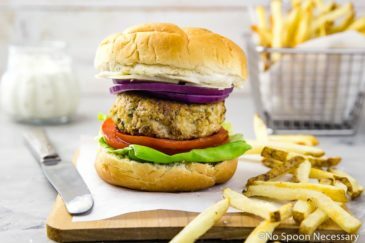 This sound like such a yummy way to do meatless Monday. Have a great week, Chey! This is perfect for dinner. I will be making this real soon and will let my loved ones try it. Thank you for sharing your wonderful recipe with us. I love cauliflowers that I always try to make recipes with it. BY the way, can I add mash carrots or mash potatoes with this recipe? Do you think it will still taste good? During the week I try to be good and have meals without meat so this recipe comes in very handy! 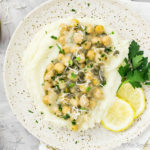 The chickpeas in your piccata look so good and I love the idea of serving it on cauliflower mash, yum. We had a few spring-like days here in London which makes you hopeful that spring is finally on its way which is very exciting! I have never tried a dish like this, it sounds so interesting!! We had the same weather whirlwind and still going up and down. It needs to just make up its mind if you ask me. 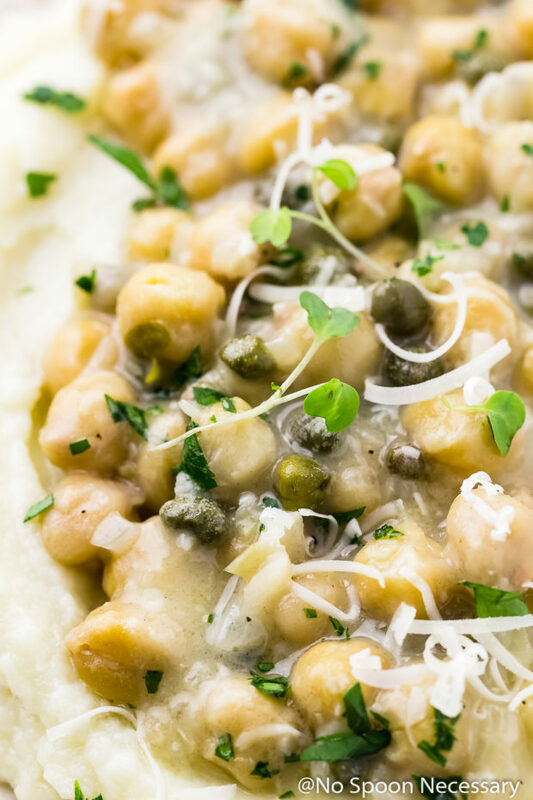 I LOVE LOVE the use of chickpeas in this piccata. what a great way to make a classic meatless. Pinning to try soon! You are such a creative chef. Two-steppers are no problem for me, as you explain it perfectly. So I love me my chicken too, but this a great substitute to feel like you aren’t losing out on getting that ‘umpff’ in a meal. 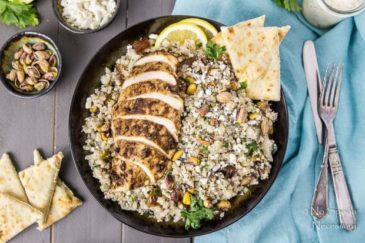 Girl, you are so on point with this recipe! So creative! Chicken piccata is a favorite of mine but if I can eat a meatless version, well then it’s even better 😉 Extra capers in mine please! Gosh, I love this, Cheyanne – my perfect dinner – warm and comforting. I haven’t tried cauliflower mash yet but this is totally inspiring me. And our weather is going to swing into the high 80s this week – I actually hate when that happens – my wardrobe schedule gets all out of whack and I don’t know what to wear! Brilliant as always! and the weather here has been insane – snow, rain, sun. It has gone bi-polar. 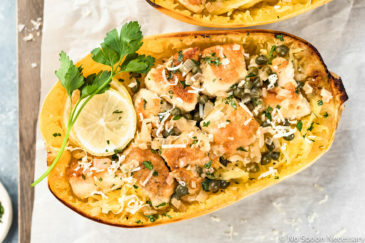 I am all about Piccata anything! Lemon, capers, white wine and garlic. Its all about the sauce anyways 😉 . 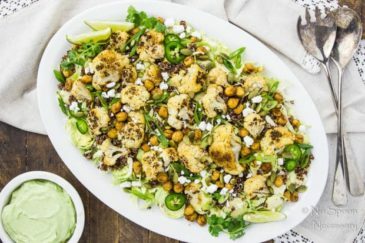 Loving this dish with chickpeas and the cauliflower mash helps absorb all that saucy goodness. Perfect for a meatless Monday! !